Ma Kipling and Barry Bagel, both claim to be the best baker in Pleasantville. But the dispute is about to be settled once and for all, as The Great British Bake Off comes to town. Meanwhile, Ma Kipling’s nephew and niece, Hansel and Gretel turn up, having escaped the clutches of their wicked stepmother. But it’s a case of out of the frying-pan and into the fire, as they are kidnapped by Bagel’s henchmen. Who have just failed to steal the recipe for Ma Kipling’s Famous Featherlight Fairy Cakes. Includes a wonderful parody of The Great British Bake Off. 13 principals (2 of which are act 2 only) plus several small cameo roles and a chorus with some speaking lines. Ma Kipling screams offstage and Chorus run on (USL) to investigate. What was that awful screaming? It sounded like someone being murdered! It sounded like Ma Kipling, to me. What did you do? Use gunpowder instead of flour? I wouldn’t be surprised. Ma Kipling is an exceedingly rubbish baker. How dare you! Everybody knows I’m the best baker in Pleasantville. My Fairy-cakes are world famous and my crusty baps…(hoists chest)…are second to none. Now clear off, before I kick you all up the Garibaldi’s. (chases Chorus off USL) What a cheeky lot. (spots audience) Well hello, my little French Fancies! Let me introduce myself. I’m Ma Kipling and I run this here bakery. Now as you know, the Kipling family are renowned for making exceedingly good cakes, so every time I come on I’ll shout ‘how are you all’? And I want you all to shout back ‘exceedingly good Ma.’ Okay? (audience respond) Let’s have a go then. (exits and re-enters) How are you all? (audience respond) You can do better than that. (repeat business) That’s better. Have some sweeties. (throws sweets out) Now if you’re a fan of ‘The Great British Bake Off’, you’ll be pleased to know that they’re filming a special episode right here in Pleasantville. And as I’m the best baker in town, I’m bound to win it. (checks her watch) Oswald my shop worker is late for work again. Goodness knows how he manages it, seeing as he lives above the shop. Speak of the devil. (to Oswald) Where have you been all morning? Well seeing as you’re such a kind employer, I thought I’d nip to the shops and buy you something nice before starting work. Oh, how lovely! Give it to me, then. (dumbfounded) Flour! I run a flaming bakery! What do I want with more flour? But you’re always saying how much you love flours. Yes. From a flaming florist! (to audience) Mind you, he’s not the sharpest knife in the block. When he first started working here, I asked him to put the holes in all the ring doughnuts, and he spent three hours looking for a box containing holes. Don’t have a go at me Ma. I’m feeling a bit down this morning. I told you not to keep it in a goldfish bowl. It should be kept in a cage. (turning it over and over) But there’s nothing on it. I know. She’s not speaking to me at the moment. Well I’m speaking to you now, and I’m telling you to start pulling your finger out or start polishing up your CV. I don’t own a French car. I sometimes wonder if you own a brain. (to Oswald) And have you cleaned out all those saucepans like I asked you? Yes. They were really black inside, so I scrubbed and scrubbed until they were all shiny again. Without a speck of black on them. You idiot! Teflon non-stick pans are supposed to be black inside! Well how was I supposed to know? Anyway, if Teflon’s non-stick How come it sticks to the inside of the pan? (to audience) This is my beautiful daughter, Ulrika. Can I cook or what? (to Ulrika) What is it, dear? I’ve just heard that Prince Oliver is attending ‘The Great British Bake Off’ and will be awarding the winner the title of ‘Best baker in Pleasantville’. Isn’t it exciting? (embarrassed) Mum! You know I hate innuendo. I hate all Italian suppositories. I also discovered that Barry Bagel is entering the Bake Off. (dismissive) Let him. He’s got no chance against me. Well just be careful, mum. Bagel’s a bad’un and he’ll stop at nothing to win. I hear he’s connected with…(looks furtively left and right)…the Cosa Nostra. You mean that new coffee shop on the high street? No! ‘The Cosa Nostra’ is another name for the mafia. Well I never. (to audience) Fancy naming a coffee shop after the mafia. So what are you going to make for the Bake Off, mum? Well what’s the one thing that Ma Kipling’s Bakery is famous for? ‘Ma Kipling’s Fabulous Featherlight Fairy-cakes’. That’s right. (to audience) They’re so light, that each one comes with its own ribbon attached to a mini sandbag to stop it floating away. I don’t know how you make ‘em so light, Ma. What’s your secret? That’s something I tell no one. Come on mum, you can tell us. All right, but you must promise not to breath a word to anyone. (does a ridiculous Scout/like salute) Scouts honour. (leans in and they follow suit) Well it’s all down to…(looks about to make sure no one is eavesdropping)…powdered helium. (trying to shush them) Sssshhh! Don’t tell everybody! You’re having a laugh aren’t you? No. Those clever Chinese found a way to make powdered helium and I buy it from Ali Baba. Now I know you’re kidding. Ali Baba is a completely different panto. Alibaba is like the Chinese version of Amazon, Oswald. You can buy absolutely anything on there. That’s right. (to Oswald) Last week I bought an air-guitar for my cousin’s birthday. But an air-guitar isn’t a real guitar. It’s just an imaginary guitar. D’you know, I thought the package seemed a bit light. (to Ma Kipling) How does this powdered helium work, then? You put it in the bun mix, and while they’re baking the heat activates the helium. Turning it back into a gas and making the buns all nice and light. (taps Ma Kipling on the back) Excuse me! I do. Otherwise I wouldn’t have asked would I? And I’ll bet you’re not too smart either. (to Oswald) Well you should know. (to audience) He used to think that origami was an Italian herb. (to Hansel & Gretel) Who are you then? We’re your sister Jean’s, kids. I’m Hansel. 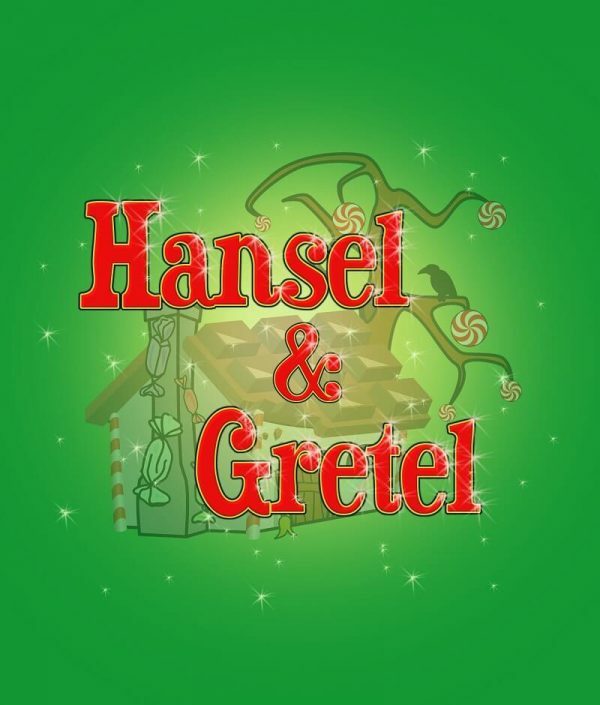 (to Hansel & Gretel) You’re my cousins! How come we’ve never met before? It’s because me and your aunt Jean haven’t spoken, ever since falling out over whose meringues where the biggest. She was always jealous of my cooking ability…not to mention my ravishing good looks. She moved house soon after, and I haven’t heard from her since. (to Hansel & Gretel) So what can I do for you kids? We want to know if we can come and live with you, auntie. Your mum hasn’t thrown you out has she? I wouldn’t put it past her. Selfish to the core she is. And what a hussy! She spends more time down the docks than any sailor. Oh, no! My poor sweet, selfless, innocent sister…dead! (to Hansel & Gretel) How did it happen? Well she was down the docks as usual, when she slipped on a skate, fell in the sea and drowned. But what about your father? He remarried and is now under the thumb of our wicked stepmother, who wants rid of us. Twice she persuaded father to take us deep into the woods and leave us there. But each time Hansel dropped a trail of white stones and we found our way home again. So then we decided to run away and find you. (crushing them to her bosom) You poor little mites! Of course you can stay here with me. But tell me, how did you manage to find me after all these years? We found an old photo of you amongst mum’s stuff. (produces a photo) See? You’re right, you haven’t changed. You were ugly then and you’re still ugly. Cheek! (to Hansel & Gretel) Are you hungry kids? I think I’ll check out this Alibaba site and see if they sell aqualungs for budgies. (to audience) I can’t believe that Prince Oliver is coming here. I wonder if he’ll notice me. Is your mum entering ‘The Great British Bake Off’ tomorrow? Well she has been in the business a long time. (aside to the other Chorus) She’s been in the baking business a long time an’ all. Prince Oliver will also be attending and I’m going to buy myself a new outfit for the occasion. (to Ulrika) Are you hoping to impress the Prince, then? (cagey) Only in my capacity as a representative of Ma Kipling’s Bakery. You can’t fool us Ulrika. You’re always fantasising about marrying the Prince. (confessing) It’s true. He’s so handsome and dashing. Music cue 2: Ulrika and Chorus. After song ends…Well I’m off pick up my outfit. See you all later. (starts to exit SR and Chorus follow her) Why are you all following me? We’re all going to buy new outfits too. You’re not the only girl who fancies the Prince, Ulrika. (to audience) Greetings, soggy bottoms! I’m Barry Bagel, the best baker in town. Oh yes, I am! (audience respond) Oh yes, I am! And I aim to prove it by winning The Great British Bake Off’. (shouts) Gary and Baldi! Music cue 4: Gary and Baldi enter opposite sides dressed like The Blues Brothers complete with dark sunglasses. It’s obvious they can’t see properly as they fumble around stage. (snaps) Over here, you numpty’s! As they try and find their way to him, Gary and Baldi manage to crash into each other and both end up on the floor. Stop messing about and take off those stupid sunglasses! (standing and removing their sunglasses) Yes, boss! You’re the boss, boss! And don’t you two forget it! So what do you want, boss? I was in town earlier and heard something I didn’t like. Was them local kids calling you names again, boss? (shocked) What!? (pointing at audience) Those rotten kids call me names? What kind of names do they call me? They ignore him and continue. Shut up, before I shut you up…permanently! (to audience) I’ll deal with you pesky kids later. (to Gary & Baldi) I’m talking about ‘Ma Kipling claiming to be ‘the best baker in Pleasantville’. No she isn’t! I am! (snaps) And what’s so funny about that? Well no offence boss, but every year you both enter the village baking competition. And every year Ma Kipling wins, with her ‘Fabulous Featherlight Fairy-cakes’. That’s because they’re the lightest, fluffiest, tastiest Fairy-cakes ever. Yeah and they’ve won loads of awards. My buns have won awards, too. That’s true. Bagel’s rock-cakes won an military award, and the army now use them as cannonballs. Only because you two idiots put sand and cement in the cake mix. Well how else are you supposed to make rock-cakes? Never mind that now! I intend to win ‘The Great British Bake Off’ and prove that I’m the best baker in town. (aside to audience) Silly question really. Tonight, you two will break into Ma Kipling’s bakery and steal her secret recipe for her ‘Fabulous Featherlight Fairy-cakes’ and bring it to me. I will use then her own recipe against her and win the Bake Off. But surely she’ll remember her own recipe, boss? I doubt it. The old fool can barely remember her own name. But we don’t know where she keeps her recipe book. Well where would you keep something important, to prevent someone nicking it? (brightly) A Jacob’s biscuit tin! Why a Jacob’s biscuit tin? ‘Cos you’d have to be crackers to look in there. (laughs to audience) Get it? ‘Jacob’s’…‘Crackers’? (snaps) Idiot! I was talking about a safe. Ma Kipling has a big one and is sure to keep her secret recipe in there. And how do we get inside the safe? (brightly) I know! By using a periscope! How will a periscope help us break into Ma Kipling’s safe? Simple. You put one end in your ears and the other end on the safe. Then you twiddle the dial a bit, and Bob’s your uncle. It pops open as if by magic. (puzzling) ‘Periscope’? (suddenly) You mean a ‘stethoscope’, you idiot! That’s right. I’ve seen it done in lots of old movies and it looks dead easy. A stick of Blackpool rock! (to Baldi) I’m a bit worried about using explosives. Last bonfire night I lit a rocket and ended up fifty-feet in the air. You were supposed to let go of it. Didn’t you read the instructions? ‘Course I did. It said ‘light the blue touch-paper and then retire’. Then why didn’t you do as it said? ‘Cos I’m too young to retire. (sighs) I think your brain retired long ago. Right, I’ll go and pinch some burglary tools. You get hold of some jelly and meet me later in Asda’s carpark. Well we’re going to need a getaway car, aren’t we? Oh, and pick up a pair of ladies’ stockings instore while you’re at it. To wear over our heads and stop anyone recognising us. Okay. I’ll call to my sister’s and borrow a pair of hers.